After a DWI arrest, your most immediate concern is how to get your license back. Because you have to get to work, that is our first priority as well. When arrested, the police take your license and say you can’t drive for thirty (30) days. Try not to worry. In most situations, we can get you back on the road quickly. Under North Carolina law, you actually have two (2) options. The first and best option is to request a DMV challenge hearing. While the State of North Carolina must have at least three (3) days notice, they usually waive it. Next, we appear in front of a District Court judge on your behalf. You do not have to be present. If approved, you get your full license back. No restrictions or limitations (unless you had some already). Clients prefer this option because it is quicker and saves money with a Limited Driving Privilege (LDP). If after ten (10) days from the date arrested, you can usually get a Limited Driving Privilege (LDP) . This process requires two items from our client. First, you get a substance abuse assessment which costs $100 paid to the facility. Next, you need your insurance company to send a Form DL-123. After that, we will prepare the necessary documents and submit to a District Court judge for approval. After the judge signs, we file the executed LDP along with your $100 fee to the State of North Carolina. These documents then become your “license” for the next twenty (20) days. However, you can drive only to and from work during certain time periods. While the “standard” LDP is Monday through Friday, 6:00 am to 8:00 pm, we can ask for “non-standard” hours. In addition, you can attend church and/or Alcoholics Anonymous meetings. Then, thirty (30) days after arrest, you pay another $100 to restore your license. As you might expect, the process starts here with the initial consultation. Because your choice of lawyer is so important, we encourage you to carefully compare our credentials and experience. While there are many lawyers in Mecklenburg County, relatively few practice criminal law. 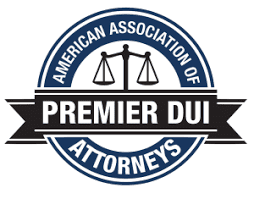 More importantly, even fewer attorneys focus their criminal practice on DWI defense. However, that’s just what our criminal defense lawyers do. Consequently, let’s sit down, go over your case, and review your concerns. Furthermore, ask us hard questions. For example, what percentage of our practice is DWI cases? In addition, do we fight for our clients in court? In addition, ask if we are personally available after regular business hours or weekends? Once you meet with several attorneys, you will know who you will want as your lawyer. North Carolina DUI laws are complex. The stakes are high even for a first offense with no prior criminal record. That is why we focus our North Carolina criminal practice on DWI cases. We may occasionally handle other serious criminal cases. But our primary focus and passion is helping clients charged with DWI and the attending DMV issues. 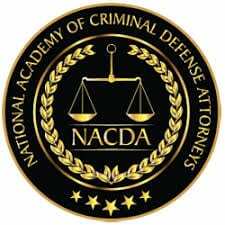 We encourage you to research several law firms and our credentials and experience against anyone. After your initial research, we then invite you to personally meet with us before making your final decision. At a minimum, you will learn a great deal about what you are facing and how we can help. With smart phones and email, there is no excuse for lawyers to not be available. While paralegals are great, sometimes you just need to talk to your lawyer. Because we appreciate the stress you are feeling, we will be there when you need us. In addition, we will answer your questions and concerns even if after “regular business” hours. After all, we know a little information and guidance from us will help you sleep better. That’s what you should expect when you hire a lawyer. And that’s what you get when you retain our firm. Charlotte DWI attorney Robert J. Reeves is a practicing trial lawyer located here in Mecklenburg County with over 28 years litigation experience in both criminal and civil courts. He is licensed in North Carolina (1996) as well as South Carolina (1989). Located across the street from the Mecklenburg County Courthouse, Mr. Reeves focuses his criminal practice on Driving While Impaired (DWI) cases. He has taken the same training as police and received certificates from the National Highway Traffic Safety Administration (NHTSA). First, DWI Detection and Standardized Field Sobriety Testing training. And then the Advanced Roadside Impaired Driving Enforcement (ARIDE) course. 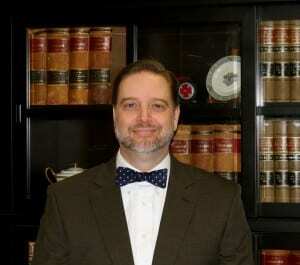 Mr. Reeves is an experienced litigation attorney. 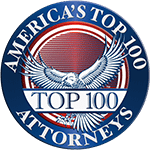 As a result, he is a member of the National Trial Lawyers Top 100 and National College for DUI Defense. More importantly, Mr. Reeves makes himself personally available to clients – evenings, weekends, and even holidays. Consequently, every client has his mobile phone number 704.351.7979 and direct email address robert@rjrlaw.com. We know how stressful this ordeal is to you and will do everything we can to ease your burden. To win, the State must prove three (3) things: (1) driving, (2) in Mecklenburg County, and (3) BAC (blood alcohol concentration) of 0.o8 or greater and/or mental/physical impairment. The first two elements are usually a given. But not always. Rather, we fight the third element in most cases. So here is our basic strategy. First of all, we question the reliability of the “machine” and so-called “breath” testing. For example, if your BAC is low, we argue the margins of error that come with any machine. But if your reported BAC is high, we look at how you appear on camera. If you don’t look or sound drunk, video usually wins over a machine. And if there is no BAC (refusal or machine failure), video can “make or break” your case. If you’re reading this material, we know that you or someone you care about has probably had a long night. On the way home from dinner or an evening out, you suddenly see blue lights in the mirror. While you may have had a few drinks, you felt fine to drive. Of course, you would never have driven if you thought for a moment you were unsafe. You are a responsible person who does not take chances. Nevertheless, life circumstances can change pretty quickly, and you now find yourself facing a DWI arrest. Defending a DWI arrest is a process and it will take time to work through the various stages. That’s where our firm can help. Regardless of the reason initially stopped by police, everything changes once the officer smells alcohol on your breath. At that point, it becomes a DWI investigation and usually ends in a DWI arrest. First, the officer asks a series of questions while getting your driver’s license or vehicle registration. Next, you will get out of your car and perform “Field Sobriety Tests” on the side of the road. Standardized Field Sobriety Tests (SFSTs) are Horizontal Gaze Nystagmus (HGN), Walk and Turn (WAT), and One Leg Stand (OLS). Following your DWI arrest, the arrest documents given to you when released will show a first court date. 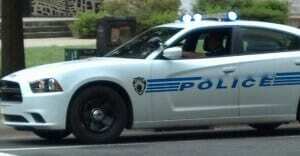 All Charlotte DWI cases start in Courtroom 1130 at the Mecklenburg County Courthouse. If you hire us, you sign a Waiver of Appearance form. You will not have to be there as we will be there for you. On that date, we will look at your file and then request a new court date on the 4th floor. After that date, you have to appear at all subsequent dates. However, we will send you court notices with date, time, and which courtroom. In the meantime, we request all video evidence available in your case. Because video often “makes or breaks” a case, we want both in-car and body camera recordings. Our office notifies you with the date, time, and courtroom number. There are several court dates during which we collect all of the State’s evidence, including video. We personally interview the arresting officer to learn every detail about your arrest. Once we review all evidence, we go over your options so you can decide what is best for you. We will answer all of your questions, review the pros and cons of your case, and make recommendations. Then, you decide how to proceed. We never pressure our clients on any course of action. Rather, we advise and suggest options. It is always your case and your decision. Is DWI Arrest Worth Fighting? Absolutely. While you would expect a DWI lawyer to give such advice, it’s true. Perhaps we should explain why it is worth the investment to aggressively fight a DWI arrest. First of all, a DWI conviction is a permanent criminal record. In addition, you can lose your license, your job, and maybe even your freedom. So as you know, there is too much at stake to just give up without a fight. Unless there is serious injury or death, a DWI arrest is a misdemeanor, not a felony. However, if convicted or plead guilty, a DWI is a permanent criminal record that cannot expunged even years later. As with all criminal charges, we thoroughly investigate and aggressively defend DWI arrest cases. The burden of proof is on the State of North Carolina, and the prosecution must prove all elements “beyond a reasonable doubt.” North Carolina has some of the strictest DWI laws in the country, but subject to both legal and factual defenses. You are beginning what can be a very stressful time in your life. This is why hiring an experienced DWI attorney is so critical. Consequently, we make sure we understand the process and what we need to do. As a result, we can explain what to expect and answer your questions. Then, after we have all of the State’s evidence, we sit down and go over your case. If you decide to fight the charges, we get ready for trial. If you decide to plea, we prepare your case to help minimize your final punishment level and sentence. Of course, the choice of how to proceed in your case is always yours. After all, you are the client, and we always remember we work for you. Common searches on the internet often include “who is the best DUI attorney in Charlotte?” But here is the truth. After comparing several lawyers, only you can decide who is the “best Charlotte DUI lawyer” for your case. Because which lawyer is critical, consider your options carefully. Rather than just hiring someone on a friend’s recommendation, do your own research. Next, meet with several DWI attorneys to see who you like. And finally, choose the attorney who gives you the most confidence but also puts you at ease. As promised above, we pledge our best efforts to fight for you and your family. And, we will be there for you when you have questions and need answers. In addition, we will give you honest, straight answers. That’s just how we do things, and we want to be your Charlotte DWI lawyer. Call now.